WAUKEE, IA - AgriSync, Inc., an Iowa-based Agtech firm, has raised Seed funding from venture investors to support its growth plans. Innova Memphis led the investment via its Innova Ag Innovation Fund IV, a USDA Rural Business Investment Program licensed fund with several Farm Credit Banks as limited partners. Innovation in Motion (iiM), Innovative Livestock Services, Ag Ventures Alliance, Twelve 19 Ventures, Farm Journal and others joined the round. AgriSync is the leading software provider for agriculture experts to deliver support and knowledge to the modern farmer. Farmers today rely heavily on their trusted agribusiness consultants for help adopting and implementing new technologies, practices, and biological advancements – a network of support resulting from the evolving agriculture industry. The AgriSync team believes those relationships matter now more than ever and is committed to helping them reach their full potential. The company’s mobile and web platform is a core tool enabling the most important element of modern agribusiness — the human element — to have its greatest impact. About AgriSync, Inc: AgriSync, Inc. makes cloud-based software for mobile collaboration and customer support in agriculture. 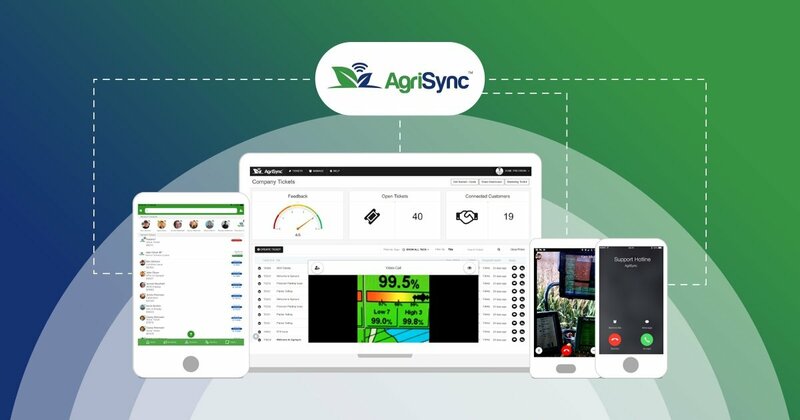 The company's AgriSync® software is licensed to OEMs and distributors serving farmers, allowing those businesses to easily see, solve, and track support issues and proactively educate their customers in a mobile-first, video-first manner on any device. With AgriSync, experts deliver better service to their farmer customers at a fraction of the cost while helping farmers maximize uptime and accelerate their adoption of essential innovations. Further information is available at www.agrisync.com. About Innova Memphis: Founded in 2007 by the Memphis Bioworks Foundation, Innova is a pre-seed, seed and early-stage venture capital group focused on starting and funding high-growth companies in the Biosciences, Technology and AgTech fields. Innova Memphis provides the synergy of experienced management, market expertise and venture capital to accelerate the development of new products and services into thriving businesses. Innova’s unique history combined with the industry experience and investment expertise of their investment team allows the firm to execute its funding strategy of finding, funding and growing early-stage, high-growth companies to achieve significant investment returns. For additional information please visit www.innovamemphis.com. Are you harnessing the power of customer experience to drive profitability?